LondonJazz: NPR (US): Vortex, "a world-class jazz club run by volunteers"
NPR (US): Vortex, "a world-class jazz club run by volunteers"
Many people assume, from the international reputation which the Vortex Jazz Club in Dalston has, and from the sheer quality of musicians who are keen to play there, that is a large, and either a publicly or a corporate-funded entity. It is neither. It is tiny, and it is volunteer-based. 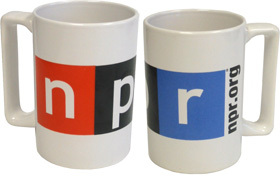 So, a big thank you NPR from the US, who are evidently no mugs, (ouch, sorry about that) for having nailed the facts so well. Here is Patrick Jarenwattananon's piece about the recent gigs at the Vortex by Vijay Iyer.